Going veg is an easy decision for people who don’t particularly like meat and who believe animals should not be consumed for survival and who also want to be more healthy. But for those who love meat, the decision for going veg is more challenging. A vegetarian diet is more concentrated on plant based foods like nuts, seeds, grains, fruits and vegetables. Basically a vegetarian is one who avoids meat although there are different types of vegetarians and some have a bit more leeway than others. A certain type of vegetarian can still consume eggs while other types of vegetarians won’t. 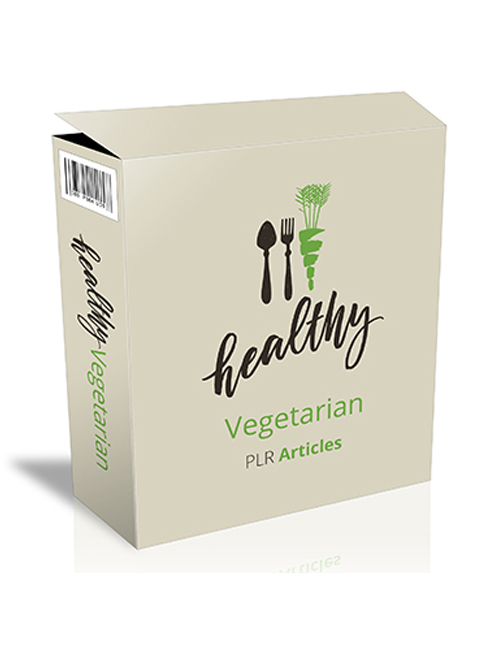 In these plr articles, you’ll understand the different types of vegetarians and the many types of options available. You’ll learn how to become a vegetarian, how to cook great foods, eating healthy, low calorie options, low carb options, low fat options, vegan vegetarianism, various dishes you can try and much more. If you run a health blog for vegetarians or are looking for great content for your audience, this pack is an optimal choice. Get it today.